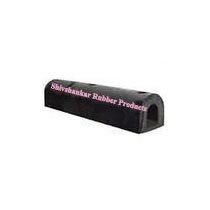 Our company is reckoned as one of the chief Manufacturers and Suppliers of D Shaped Rubber Fender in India. We fabricate this Rubber Fender using high-grade retro reflective material and the latest techniques. It is thoroughly examined by the quality controllers to ensure complete customer satisfaction. This fender is available in variegated sizes to meet diverse applications. It can be purchased from us in bulk quantities at market leading prices.